movie with the title One Piece, story about Years ago, the fearsome pirate king Gol D. Roger was executed, leaving a huge pile of treasure and the famous "One Piece" behind. Whoever claims the "One Piece" will be named the new pirate king. Monkey D. Luffy, a boy who consumed one of the "Devil's Fruits", has it in his head that he'll follow in the footsteps of his idol, the pirate Shanks, and find the One Piece. It helps, of course, that his body has the properties of rubber and he's surrounded by a bevy of skilled fighters and thieves to help him along the way. 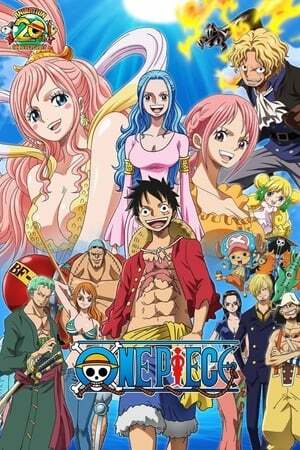 Monkey D. Luffy brings a bunch of his crew followed by, Roronoa Zoro, Nami, Usopp, Sanji, Tony-Tony Chopper, Nico Robin, Franky, and Brook. They will do anything to get the One Piece and become King of the Pirates!